In the midst of one of the most de-stabilizing scandals to rock Canada in years, Foreign Affairs Minister Chrystia Freeland announced on April 5 that the threat of “Foreign interference” going into the October 2019 elections was at an all-time high. The creation of an “Incident Public Protection Panel” run by five Privy Council bureaucrats under the Clerk of the Privy Council which will exist outside of the authority of the Chief Electoral Officer of Canada, whose job is to maintain the integrity of elections. In defense of this mysterious group, Canada’s Democratic Institutions Minister Karina Gould stated that “it won’t be one person who will decide what Canadians will be allowed to know” (apparently having five people decide is more democratic). The new Clerk of the Privy Council is Ian Stugart, who served as former deputy minister to Chrystia Freeland until just a few weeks ago. A Security and Intelligence Election Threats Task Force which will incorporate all of Canada’s intelligence agencies such as the Canadian Security Intelligence Service, the RCMP, the Communications Security Establishment (CSE) and Freeland’s Global Affairs Canada. All of these agencies are Privy Council organizations. 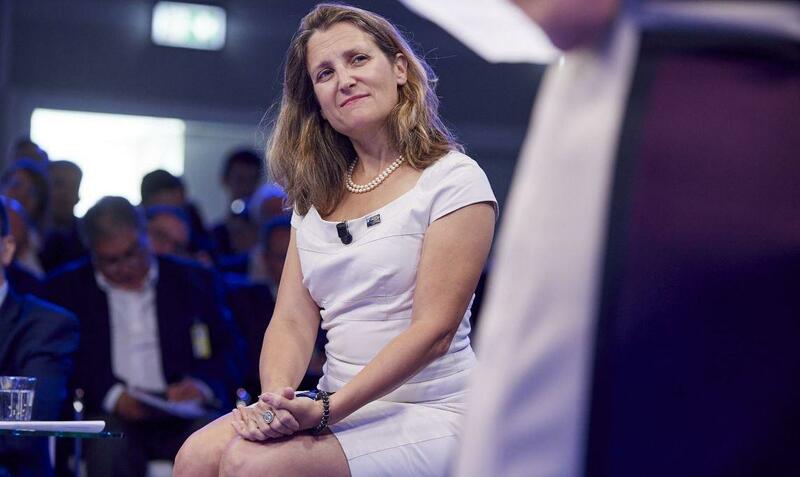 The Rapid Response Mechanism of the G7 created in June 2018 and headquartered in Ottawa Canada in Freeland’s Global Affairs Office and Privy Council Office. First and foremost, Freeland’s shameless warnings over “foreign interference” have become so loud that an irony has become unavoidable. She has after all been caught red handed behind the destabilization of both Ukraine and Venezuela. Secondly, by reviewing the mechanisms being created by Canada to counter-act this “threat”, a clear insight is provided into the inner workings of the actual foreign influences which infiltrated Canada many decades ago. On the first point, Freeland’s role as a co-architect of the nazi-fueled overthrow of a pro-Russian government in February 2014 is now well known. Aside from her family’s Nazi connections going back to her grandfather Michael Chomiak’s leading role as a Nazi collaborator in WWII, and her own mother’s role in helping to draft Ukraine’s neo-liberal constitution, Freeland herself not only befriended leading neo-Nazi collaborators such as Canadian Ukrainian Congress’ president Paul Grod and but has also promoted NATO’s anti-Russian expansion across eastern Europe. Less well known but equally important is Freeland’s leading role in planning for the Venezuelan coup attempt which has been recently halted thanks to Russia’s March 23rd intervention. Working alongside fellow Oxford operative Ben Rowswell (now head of the Canadian International Council/ Chatham House of Canada) during his three year tenure as Ambassador to Venezuela (2014-2017), Freeland set up a program for regime change which involved a two-part formula of 1) mobilizing mass direct support for the overthrow of a government, and 2) gaining international support for said overthrow. Rowswell’s on-the-ground work was designed to achieve the former as he himself admitted in a 2017 interview saying “We became one of the most vocal embassies in speaking out on human rights issues and encouraging Venezuelans to speak out”. Before leaving his post to become the head of the Chatham House of Canada, he tweeted “I don’t think they (anti-Maduro forces) have anything to worry about because Minister Freeland has Venezuela way at the top of her priority list”. 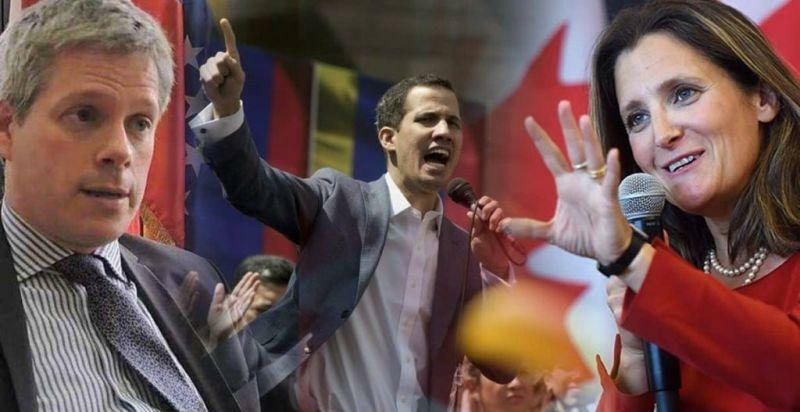 “Playing a key role behind the scenes was Lima Group member Canada, whose Foreign Minister Chrystia Freeland spoke to Guaido the night before Maduro’s swearing-in ceremony to offer her government’s support should he confront the socialist leader”. It shouldn’t be too surprising in our day and age that a nation with such a high reputation as “polite Canada” is actuality, an active agency for regime change and global governance. Canada’s very Prime Minister did assert in 2016 that “Canada is the world’s first post national-state nation”. What may surprise some readers is that Canada itself was infiltrated by a foreign player many years ago and what we will briefly see is that Canada can only be called the “world’s first post national-state nation” because it never really became a genuine nation in the first place, but was always manipulated by a foreign power... although not the one you think. While a longer presentation is needed to do this story justice, it is enough to note for now that neither Freeland, nor Rowswell are operating on behalf of Canada’s interests, but are rather both operatives run by an entity that took over Canada many decades ago and are currently directed by two interlocking organizations: The Privy Council Office and the Rhodes-Milner Round Table Group. The Privy Council office was set up in 1867 in order to act as the British hand guiding its newly formed confederacy (Canada nearly became a part of Lincoln’s America in the wake of the Civil War. The only thing stopping that outcome was Britain’s creation of a confederation. The full story is told in the Imperial Myth of Canada’s National Policy.). While its power was always great, there was still room for independent policy making by nationalistic elected officials when the international conditions were favorable. This was nearly entirely destroyed during the reign of technocratic golden boy Pierre Elliott Trudeau during his 1968-1973 reform of the Federal Government under the guidance of the OECD’s Sir Alexander King. It was during this time Sir King’s Club of Rome (Ottawa branch) was set up in Ottawa under the guidance of Trudeau and his clerk of the Privy Council Michael Pitfield, and other neo-Malthusian technocrats such as Privy Council President Michel Lamontagne, Maurice Strong, and Governor General Roland Mitchener. It was from this control point in Ottawa in 1971 that the work later to become known as Limits to Growth was funded by tax payers and which became the bible for the new Malthusianism and blueprint for the “post-industrial society”. It is from this cybernetics central node that the web of governance both in Canada and also across other British infiltrated territories in the Trans-Atlantic system is coordinated under the directives of London. The current President of the Privy Council is Justin Trudeau’s childhood friend Dominic Leblanc, son of former Governor General (i.e. : Head of State of Canada) and co-controller of the Canada 2020 think tank which created Justin as an Obama-modelled puppet in 2006. 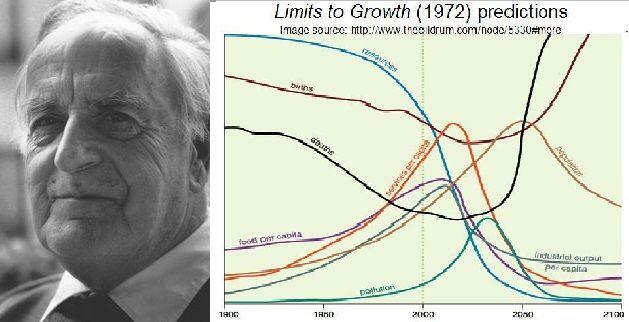 Following in the footsteps of Pierre Trudeau’s Limits to Growth, it is this very network which is at the heart of the Green New Deal now being pushed internationally. Another leading member of Canada2020 is Facebook Canada’s Kevin Chan who will be working closely with the Freeland’s Security and Intelligence Election Threats Task Force. The oath of every member of the Privy Council member (which includes both private individuals and also every cabinet minister of government) is: “I, [name], do solemnly and sincerely swear that I shall be a true and faithful servant to Her Majesty Queen Elizabeth the Second, as a member of Her Majesty's Privy Council for Canada.” Additionally to becoming a Privy Councillor, the Prime Minister must additionally give another oath stating: “I, [name] do swear (declare) that I will be faithful and bear true allegiance to Her Majesty Queen Elizabeth the Second, Queen of Canada, Her Heirs and Successors. Upon Rhodes’ death in 1902, Lord Alfred Milner directed Rhodes’ trust and created the Round Table Movement across all British Territories. The trust was also directed towards the creation of the Rhodes Scholarship system designed to indoctrinate talented young minds around the world in Oxford before deploying them back into their countries of origin in order to infiltrate all public and private fields of influence. The Roundtable groups (dubbed the Council on Foreign Relations upon its creation in the United States in 1921), changed its name several times and today is known as the Royal Institute for International Affairs/Chatham House in the UK and the Canadian International Council (CIC) in Ottawa*. Regime Change disciple Ben Rowswell’s presidency as head of the CIC and Chrystia Freeland’s status as an Oxford Rhodes Scholar (having been brought into Liberal politics via Rhodes Scholar/Canada2020 controller Bob Rae in 2013) should give any thinker a moment of grave pause. As ugly as this picture may appear to some, it should not cause sadness or even anger. Only pity mixed with a dose of hope are appropriate, since we are in fact witnessing the desperate death rattle of a Monarchical system of empire which has too long poisoned the well of human civilization and which must now give way for something better. Although this imperial system may be deploying every asset and dirty trick it has in opposition to the new paradigm now emerging under the guiding leadership of Russia and China, it is becoming increasingly clear that this empire cannot win. Its regime change plans have failed, its Green New Deals are failing and even the irrational aesthetical traditions underlying this system of post-modernism are giving way to an optimistic artistic sensibility that seeks to re-unite beauty with truth evidenced by the renewed interest in classical art and music during the recent Belt and Road Musical Festival on March 24, 2019. Russia and China’s leadership have not only consolidated a partnership of nations across Eurasia and Africa around this new paradigm, but they have also found what no one thought was possible just a few years ago: a potential ally in an America which is returning to its nationalist sensibilities under the surprising leadership of Donald Trump. During Trump’s two first years as President, the long British infiltration of America has finally begun to fall apart with the collapse of the Mueller investigation and the exposure of the British-run deep state that Mueller was a part of. 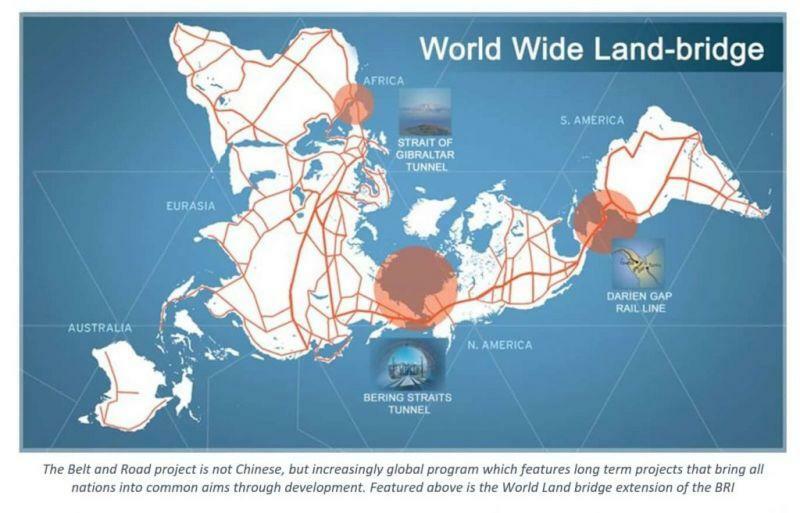 The question now remains: With the impending meltdown of the trans-Atlantic financial system, and olive branch of cooperation which China has offered to the west via the Belt and Road Initiative and the World Landbridge which can bring this system of development into the Americas and Africa, will America join hands as an ally and will Canada follow suit in order to become a true sovereign nation freed of all foreign imperial influence once and for all?